This book not only offers a magisterial analysis of the political effects of the dramatic population changes that are taking place in countries all around the world, it also represents the testimony of one of the most distinguished scholars in the field of migration and population studies. Myron Weiner, former Professor of Political Science at MIT and Chair of the External Research Advisory Committee of the United Nations High Commissioner for Refugees. Michael S. Teitelbaum, a demographer, is Program Director at the Alfred P. Sloan Foundation in New York. Chapter 4. Demography as Aggression? Chapter 7. Diasporas: Whom do They Threaten? Chapter 10. 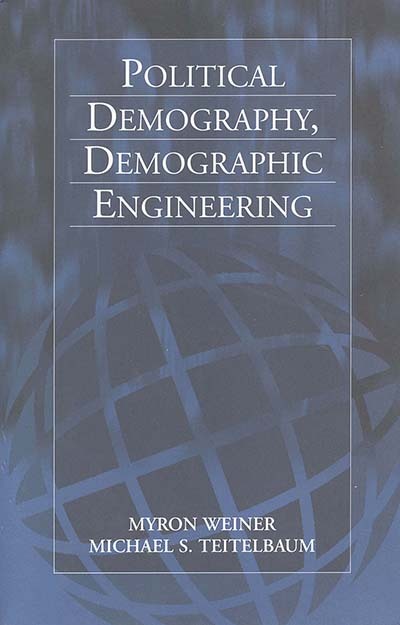 Is Demography Destiny?